Details: Bliss Thermal Protector is a virtually weightless leave-in conditioner and detangler for fine hair. Instantly repairs cuticle damage and increases tensile strength while restoring and maintaining hair's natural moisture balance. BioAMP adds dimension from inside the cuticle and strengthens the hair shaft. Triple-action formula provides thermal, mechanical and environmental protection to hair. Increases manageability of difficult to style hair. Directions: Spray on towel dried hair. Comb Through. Do not rinse out. Style as desired. Can also be used on dry hair to refresh style. Ingredients: Aqua/Water, Wheat Amino Acids, Amodimethicone, Soyethylmorpholinium Ethosulfate, Cinnamidopropyltrimonium Chloride, Propylene Glycol, Hydroxypropyltrimonium Hydrolyzed Wheat Protein, Polyquaternium-11, Dimethiconol Methonine, Dimethiconol Panthenol, Dimethiconal Cysteine, Parfum/Fragrance, Cystine bis-PG-Propyl Silantriol, Glycoproteins, Myristalkonium Chloride, Quaternium-14, Melanin, Diazolidinyl Urea, Methylparaben, Polyquaternium-10, Citric Acid, Propylparaben. My Thoughts: I wanted this product to work so badly. 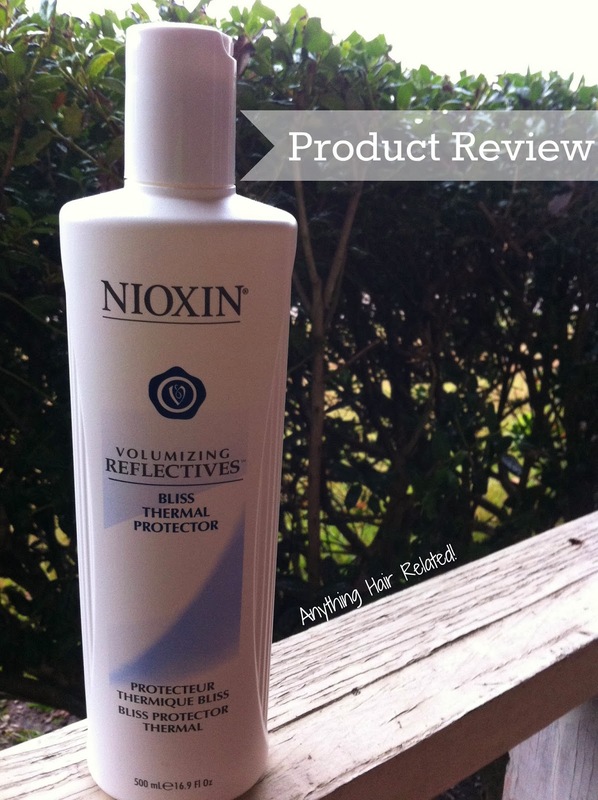 I heard and read all the comments about Nioxin Thermal Bliss from Megz, Salon Cabelo, and many others. I purchased this bottle a little over 3 months ago and just rediscovered it in my cabinet. The first time I used this product, I was transitioning. The state of my hair, after using Nioxin, was detangled and full of body. I loved this aspect of my hair at the time but my hair felt stiff. 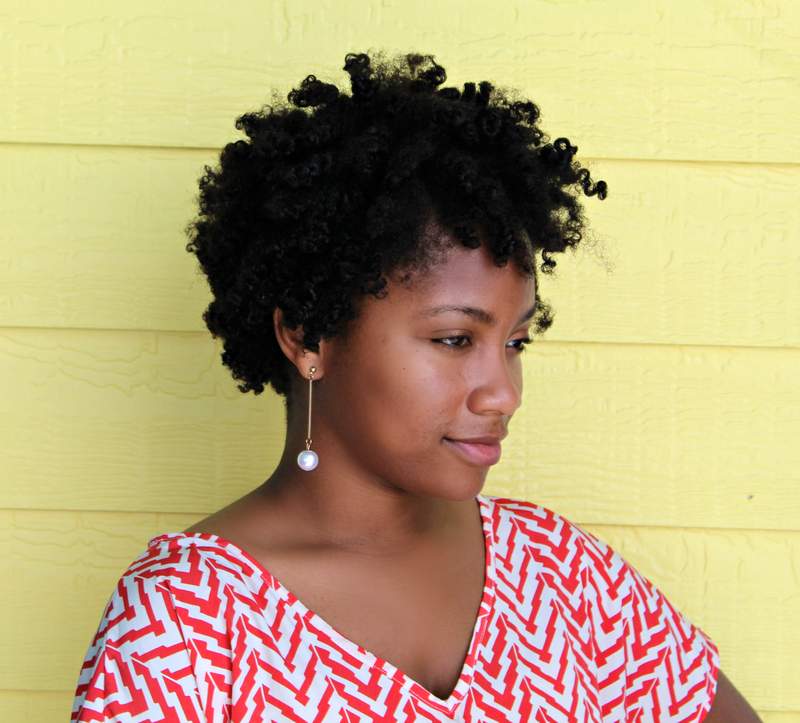 Upon rediscovering it again, November 2nd, I decided to give it a shot on my natural hair. Different hair equals different results right? Umm! I poured a little of the product in a spray bottle, and I only needed a few sprays. I had no problem detangling with this product, but my hair was still a bit stiff and hard. Considering how much I wanted to love this product, it didn't work out. Protein overload may have been the issue. I'm going to stick to my It's a 10 leave in from now on. Also, Nioxin Thermal Bliss is discontinued but I was able to find it online at Pandora Beauty (Link is above). Currently, Nioxin Thermal Bliss is out of stock on the Pandora Beauty Website but I've seen it being sold on Ebay, as well as Amazon. Keep It or Toss It: Sadly I'm going to give this product away to someone who can benefit from it more.